Wonder at the contrasts of Scotland's isles, from the inner Hebridean islands of Rum, Skye, Mull, Canna and Muck, to the Outer Isles of Barra, Eriskay and The Uists. After an early morning sail through the Firth of Lorn, we arrived into Oban for disembarkation to take place. The island capital and colourful harbour town of Tobermory, Mull was our port of call this morning for walks and retail therapy in the specialist local shops. 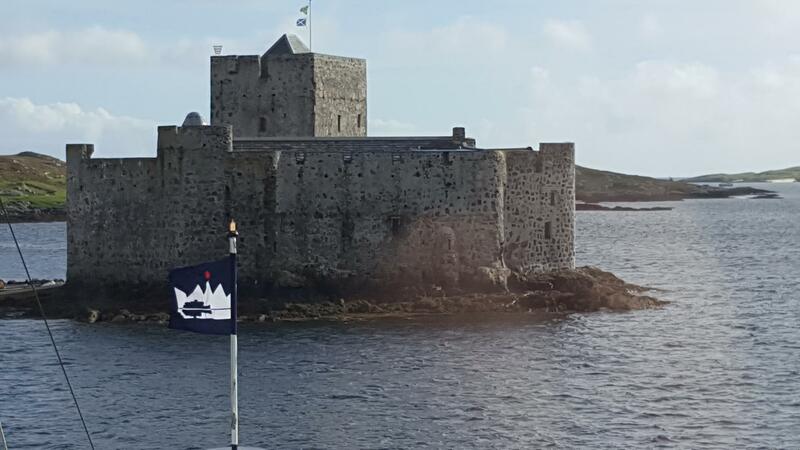 Our voyage concluded with a visit to Duart Castle, home to the Chieftain of the Clan Maclean, Sir Lachlan, from Craignure. The Farewell Gala Dinner was held at anchor in Charlotte Bay. Sunday morning was spent exploring the Isle of Canna on foot on a glorious, sunny autumn day. Following lunch we sailed to the Small Isle of Muck where we made a beach landing and guests enjoyed walks on the island. 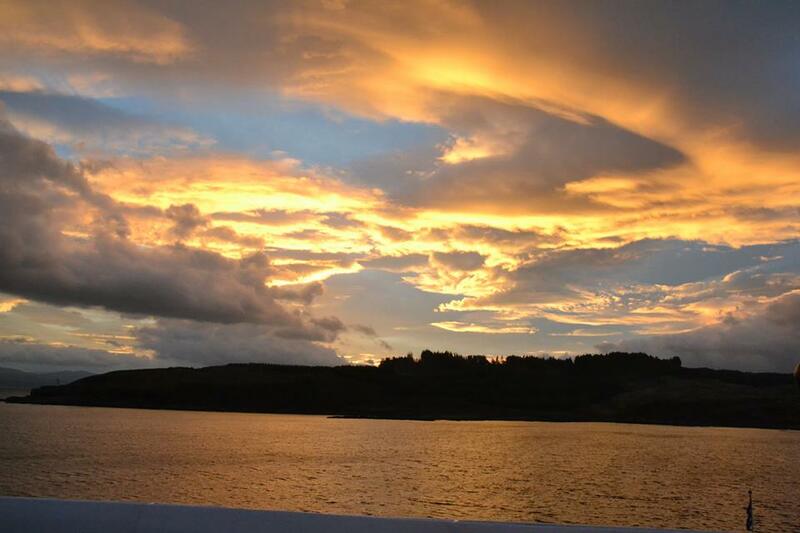 Tonight we anchored in Ardmore Bay, Mull. This morning we headed to Dunvegan Castle and Gardens, home of the Chieftain of the Clan MacLeod for 800 years and boasting wonderful gardens. This afternoon we visited the only legal distillery on the Isle of Skye, Talisker where guests enjoyed a tour and tasted a wee dram! 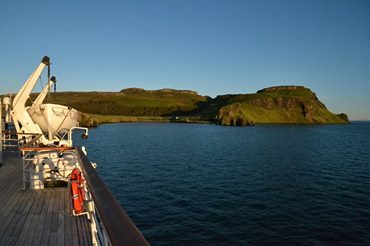 Our overnight anchorage was off the Isle of Canna. From Castlebay guests were transported by coach to Vatersay for walks on the beach, followed by a visit to Kisimul Castle guarding the entrance to the bay. After a lunchtime steam to Lochboisdale, a coach was waiting to take guests to the Kildonan Museum on South Uist and to Prince's Bay on Eriskay for strolls on the beach where Bonnie Prince Charlie first set foot on British soil. 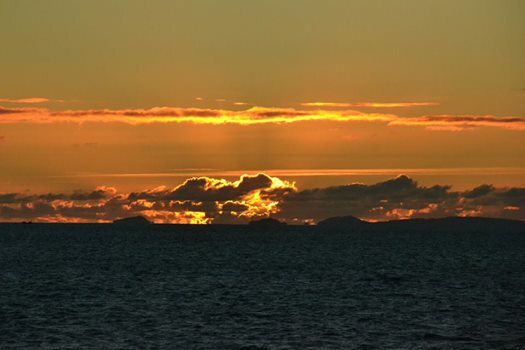 A spectacular sunset over the Uists was evident as we departed on passage to our overnight anchorage off Carbost in Loch Harport, Isle of Skye. 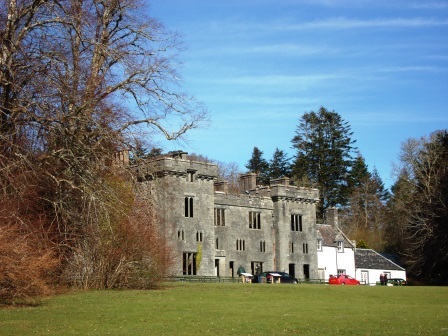 On Skye we learned about the history of the Clan Donald at Armadale Castle and Gardens. 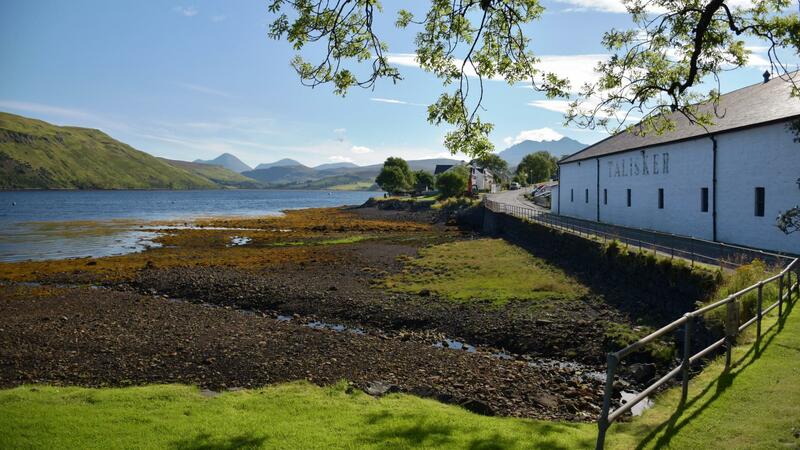 During lunch we cruised to Inverie in Loch Nevis for an afternoon of walks around the conservation village and refreshments at the Old Forge Inn, the most remote mainland pub in the UK. We then set sail across the Sea of the Hebrides to our overnight anchorage off Castlebay, Barra. The Small Isle of Rum played host to our first visit this morning as we anchored in Loch Scresort and tendered ashore to explore the eccentric Edwardian folly of Kinloch Castle. During the afternoon guests relaxed on board as we sailed through the Sound of Sleat, Kyle Rhea and under the Skye Bridge on passage to our overnight anchorage in Hallaig Bay, Raasay. We left our berth on Lighthouse Pier, Oban and cruised north through the Sound of Mull to our overnight anchorage in Bloody Bay.